The first Americans found rich resources when they came to this continent. Later, European settlers were attracted by the same resources. In the 1700s and 1800s agriculture, including raising livestock was the main economic activity. Overcrowding in cities along the Atlantic coast encouraged people to move westward in search of more land. The use of natural resources and technological advances let to rapid industrial growth in the late 1800s and early 1900s. By 1920, the rurual economy of the U.S. had been transformed into an urban, industrial economy. People began trading because there were goods and services they needed or wanted. 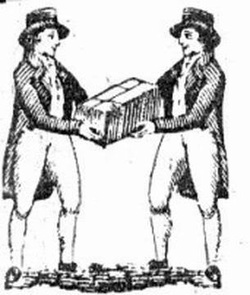 In the past, people used bartering to trade one kind of good or service for another. The Egyptians, Greeks, and Chinese began using money thousands of years ago. Today consumers use paper bills, metal coins, and checks to buy products and services. The economy of the United States is based on the free enterprise system. To make a profit, businesses sell goods or services. In a free enterprise economy. the price of a product is based on the supply and demand for that product. People have to make choices about what to buy with their money. An opportunity cost is what people give up when they choose to buy on thing over another. Consumers contribute to the economy by buying goods. Workers contribute to the economy by producing goods and services. The regions of the United States are economically interdependent because they have different climates and resources. 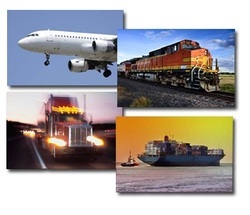 Various forms of transportation are used to move goods between regions. Modern transportation has made possible the globalization of many businesses, making most countries of the world economically interdependent. Fast communication is important to local, national, and world trade. It helps businesses and suppliers sell their goods, and it helps consumers communication their wants and needs. Advancements in communication and transportation have made local and world trade easier for everyone.